Here’s John Coyote singing one of my favorite Elvis songs – “Don’t”. Let’s begin today’s post with a trivia question: In which film did Elvis Presley wear a beard? Yes… I said a BEARD. Do you know the answer? Not to worry – I didn’t know which one it was either. On this day in 1968, Elvis began filming the movie CHARRO! It was a bust – Elvis had a beard and only one of his songs was used in the film. It was an all-around bummer. Of course to die-hard Elvis fans (like me), anything he did was quite alright. Beard, no beard – whatever. He had music in his voice and I could listen to him sing forever. His presence on the big screen was mesmerizing. Although 1968 seems like a very long time ago, sometimes it seems like yesterday. I used to hear my grandparents talk about how when they were young those were simpler, more innocent days. I didn’t know what they meant at the time they were telling me that, but now – well, I would say that 1968 was a simpler, more innocent time than 2016. In 1968 I was 9 years old. It was a pre-computer age and our telephones were all landlines. There were not many “R” rated movies showing at the theater, and we had another Elvis movie to look forward to. Elvis played Jess Wade, a man falsely accused of having stolen a cannon from the Mexican revolutionary forces. He tries to find the real culprits, a gang of criminals. There were no F bombs and no scenes that were uncomfortable to watch in mixed company. I miss simplicity and innocence in films. No, this wasn’t his best movie, but I’d still rather watch it than some of the junk that they try to pass off as entertainment these days. By 1968, Elvis had made 28 movies – and they were all starting to run together and the plots were beginning to seem very familiar. It seemed to be a matter of what environment they decided to put Elvis in. By the time movie number 29 was being filmed, they apparently thought the only thing they could do to change the routine of the plot was have Elvis grow a five-day shadow. Walt Disney’s Song Of South was released on this day in 1946. If you’re a child of the 1960’s like me, you watched a lot of Walt Disney movies! Yes I know, by today’s standards this movie would never have been made – but back in 1946 it was a different story. As a kid I saw Uncle Remus as a nice man with a song in his heart and a wonderful outlook on life – who happened to talk to cartoon friends. Nothing weird or racist about that (well, except the whole talking to cartoon friends thing). There’s nothing wrong with starting the day with a Zip-a-Dee Doo-Dah attitude, is there? In my defense, I was five years old when I saw the movie, so I’m not exactly the most qualified critic. As a matter of fact, I think I may have fallen asleep the night my family went to see it at the Landmark Drive-In here in Wichita – on that summer night in 1966. Our local drive-in had DISNEY MOVIE FRIDAYS when I was a kid. We packed a picnic basket with my mom’s fried chicken & fixin’s… took the ol’ Rambler station wagon – backed into a spot and put the tailgate down. Sat there and ate dinner while we watched the movie. I almost never saw the end of the movie because after all that good food… well – I went to sleep! Disney has kept the film locked in its vault for the past 25 years. If you were born after 1980, you’ve almost certainly never seen it in full, and it’s unlikely that will change anytime soon. For better or for worse… who knows? I still like this song! How something as benign and pure as Uncle Remus could incur the scorn of some people indicates a warped mind. These days it seems to me that some folks are looking for things to call racist. Why can’t we celebrate diversity instead of allowing ourselves to be divided by it? Song of the South, the performance, cartoons and especially the music were designed to bring a smile to children’s faces. By the time I saw the movie in 1966, it was already 20 years old – and it brought a smile to my face! It did what it was intended to do. Disney bought the rights to Uncle Remus’ Tales by Joel Chandler Harris in 1939 and built the movie scenario from there. I found a wonderful website dedicated to this movie. Everything you would ever want to know (and a few things you didn’t think you cared about) are here. There are trailers and all sorts of facts about the movie. 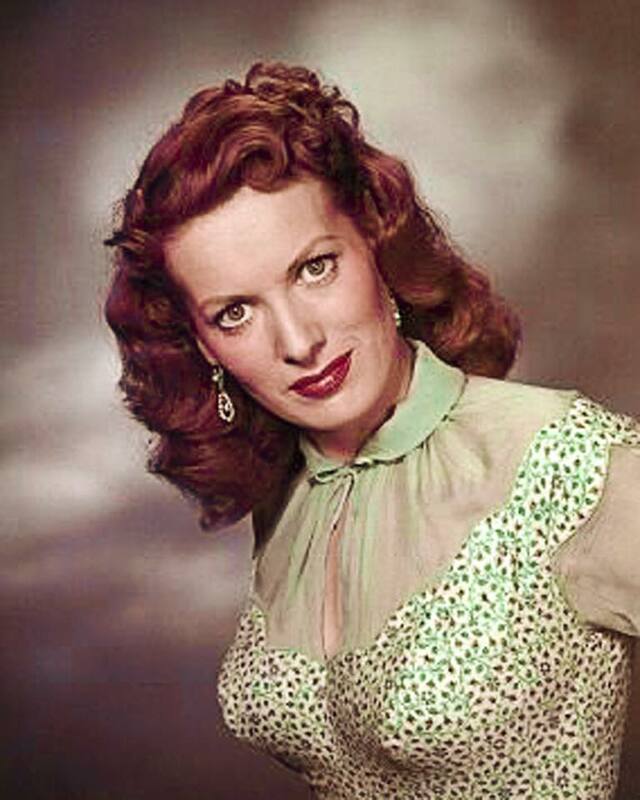 Just in case you don’t think anything (or anyone) great comes from Kansas… today we are going to say Happy Birthday to actress/singer Mary McCarty! On this day in 1923 this talented little powerhouse was born in Winfield, Kansas! McCarty was better known as a supporting actress than a leading lady, but let’s face it – it’s those supporting performances that make the stars shine even brighter! She made a real splash early in life, beginning as a torch singer at a night spot called Hollywood Tropics, and ending up in front of the bright lights of Broadway and later in front of TV cameras. Her Broadway début was in Sleepy Hollow when she was just 15 years old! Even though the show fizzled after 12 performances, McCarty received a Theatre World Award for her role as Eva. 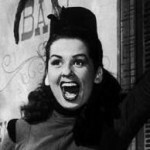 She continued to sing and dance her way into our hearts as Maisie Doll in the Irving Berlin hit, Miss Liberty in 1949. She created the role of sassy Mama Morton in the Broadway stage version of Chicago. By the mid 1950’s, she was more active in film than on the Broadway stage. Movies such as The French Line, Pillow Talk, Babes in Toyland, My Six Loves and All That Jazz made her a familiar name and face to movie goers everywhere! In 1977 she played Bertha Gardner in the popular daytime drama, All My Children. And my favorite nurse, Clara “Starch” Willoughby, R.N. emerged in the television show Trapper John, M.D. with Parnell Roberts. On April 30, 1980 at just 57 years old, Mary McCarty passed away after a heart attack. She lived her life to the fullest, this Kansas girl. May she rest in peace. Wouldn’t it be a great tribute to watch one of her performances today? I have a few of these wonderful movies on DVD. It might take all day to watch all of them – I may not get anything else done. Ah… that’d be a real shame, that would. LOL!!! Call me a square… I just don’t care! I love old movies! Is it so surprising that one who wears vintage clothing and does not dig modern movies with profanity and other non-important additions should enjoy a flick from more innocent times? 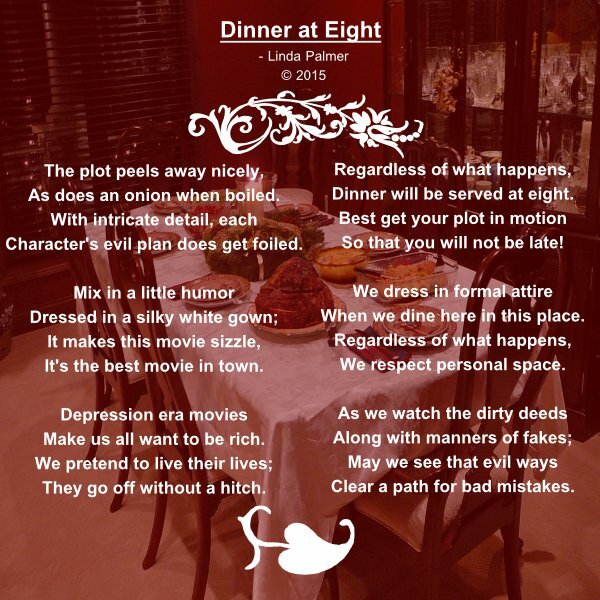 Even though this movie was released nearly 30 years before I was born, my favorite old flick came out on this day in 1933 and is called “Dinner at Eight”. I hear everyone rave on about how it’s such a great comedy – and maybe I’m missing something, but I don’t see it as a comedy. It’s more of a drama to be sure since some of the subject matter includes the dawn of the talkies, divorce, aging, fading careers, alcoholism, class conflict, economic pressures, infidelity, love, financial ruin and suicide. Based on a very successful play, I’ve gone to more than one performance at live theatre here in Wichita, but there’s just something about the movie version that draws me in. My favorite character is Kitty. Jean Harlow, stylishly coiffured from her lovely gowns to her platinum blonde hair, plays the role of “Kitty” with absolute perfection. Kitty is often propped up in bed, wearing a silky white negligée, eating chocolates that she spits out when finding one she doesn’t like (I never have that problem, do you?) She resorts to both baby talk and brassy insults in the same sentence (how does she do that?) She and her husband, Packard are always bickering. Maybe that’s why people think it’s a comedy – she is sort of funny. Aw… GO LAY AN EGG! That cracks me up! Get it??? Egg… crack…??? Aw… never mind. If I need to explain why it’s funny, something gets lost in the translation. I’m enamored with this era and am convinced I was born too late! Then I am quick to reconsider when I realize that 1933 was smack dab in the middle of the depression era. God spared me from that. My folks lived through it – but all I got were stories from them. It didn’t sound like it was much fun – at all. Then there was WWII – it just kept getting more fun, didn’t it?